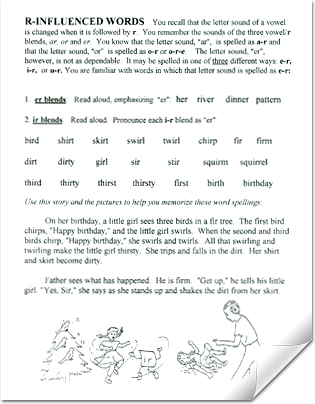 Phonetic patterns are clearly laid out to help your child become proficient in both reading and spelling. 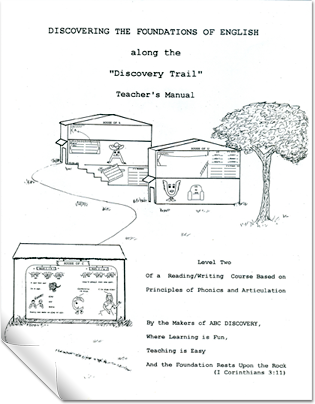 “Discovering the Foundations of English” consists of two workbooks that provide experience in phonics, spelling and related reading. 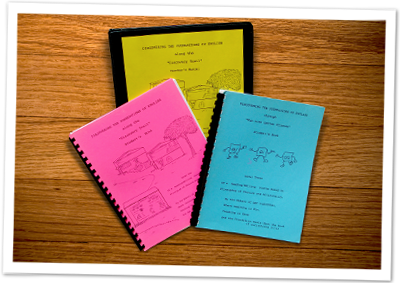 Lessons in these books may be taught consecutively or as they correspond to other material that the child is reading, or as the needs of the child would indicate. 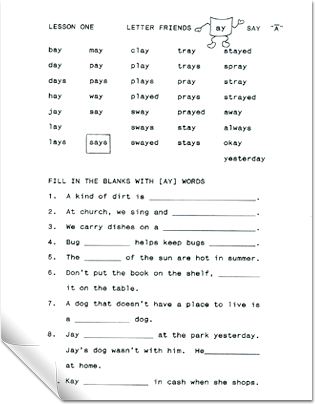 Each lesson features a vowel digraph or diphthong. 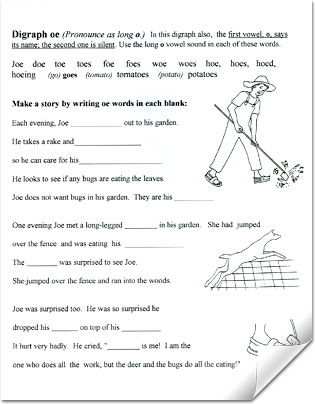 A typical lesson includes a list of words, a fill-in-the-blank exercise and a story or rhyme. The key to understanding any field of learning lies in discovering the pattern by which the information is put together. “Discovering the Foundations of English” organizes our confusing written language in such a way that the phonetic patterns can be seen and more readily learned. 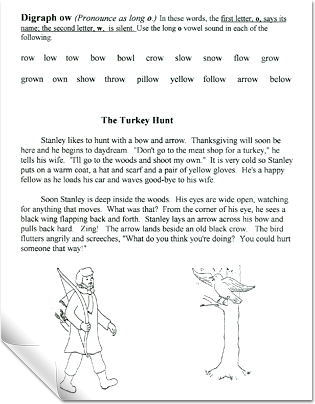 The book begins by showing how the “little pieces”, CVC and CV, combine to form two-syllable words. Among the topics covered are the CVC+e phonetic pattern, initial and final consonant blends, word endings and much more, as shown below. Words containing irregular vowel sounds are categorized according to their sounds and placed in respective “Vowel Houses” as indicated on the cover of the book. Words with hard and soft sounds of C and G are also placed in “houses” to illustrate the phonetic pattern that governs their pronunciation. 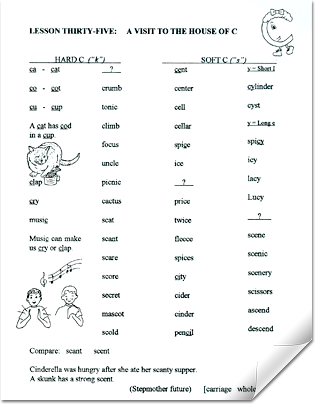 Vowel Houses are a kind of filing cabinet that aids in learning the spellings of words that are written with the same vowel but are pronounced differently. This is one of several lessons featuring R-influenced words. 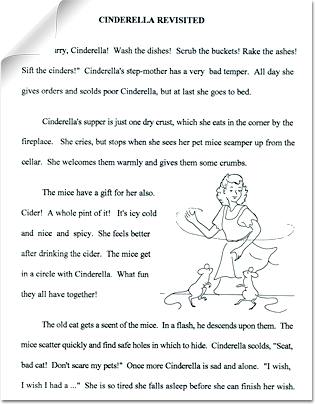 Associating words with pictures and stories helps in the memorization of words. ABC DISCOVERY makes learning fun and teaching easy! 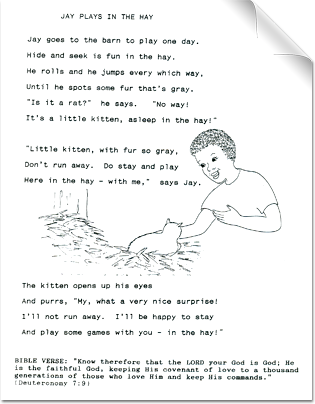 It appeals to all children, and is especially useful where learning problems exist.